A champion of the traditional teaching of reading has been knighted in the Queen's Birthday Honours. Academics and head teachers feature prominently on the list and there are many minor honours for those who serve education in more mundane capacities. Arthur James Rose, already a CBE, said he and his wife were surprised but "absolutely delighted". Sir James worked closely on the development of a schools reading programme being launched next week. In 1992 he, Robin Alexander and Chris Woodhead - the "three wise men" - wrote a report blaming the decline in primary school standards on trendy teaching methods. 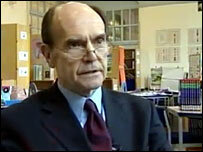 Sir James became director of inspection at Ofsted, and was a natural choice for the fresh government review of the teaching of reading, completed in 2006, which advocated a focus on synthetic phonics. Two men who have made notable contributions to the subject of history are honoured. 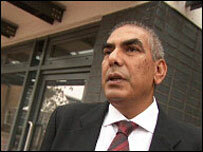 A chronicler of the British Empire in the Far East, Cambridge University Professor Christopher Bayly, is knighted. The outspoken TV historian Dr David Starkey is made a CBE. And former convenor of education in North Lanarkshire, Charles Gray, CBE, is knighted for his services to education. Also knighted is Prof David Melville, CBE, vice-chancellor of the University of Kent, for services to higher and further education. There are three further CBEs for services to the university sector: one is to Dr Geoffrey Copland, vice-chancellor of the University of Westminster. Another is to Prof Diana Green, who retires next month after piloting Sheffield Hallam University during nine years of expansion. The other is to David Young, chair of the Higher Education Funding Council for England. The principal of Loreto Sixth Form College in Manchester, Ann Clynch, is made a CBE for her services to further education. The Roman Catholic college gives a second chance to youngsters who would be rejected by many sixth form centres, recruiting from highly deprived areas - but gets excellent results and is rated "outstanding" by Ofsted. In the schools sector Carol Nicholls, head of Norbury Manor Business and Enterprise College for Girls in Croydon, south London, is made a CBE. So too is Jeffrey Threlfall of Hampshire. As well as being head of Wildern School, Southampton, he is executive head of John Hunt of Everest Community School in Basingstoke. Mr Threlfall was secondary head teacher of the year in the 2006 Teaching Awards. It is Scouting's centenary in 2007 and the chief executive officer of the Scout Association, Derek Twine, is made a CBE for his services to young people. Among the many MBEs awarded is one to a very different form of "scout" - it goes to Margaret Scully, scout and housekeeper, Corpus Christi College, Oxford. "For services to higher education."